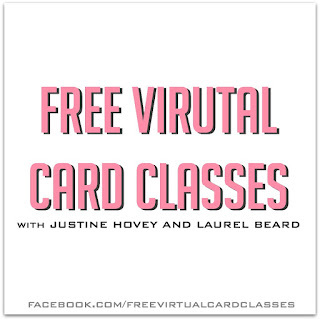 Laurel Beard and I kicked off our monthly FREE card classes this September with the Alcohol Lift Technique! 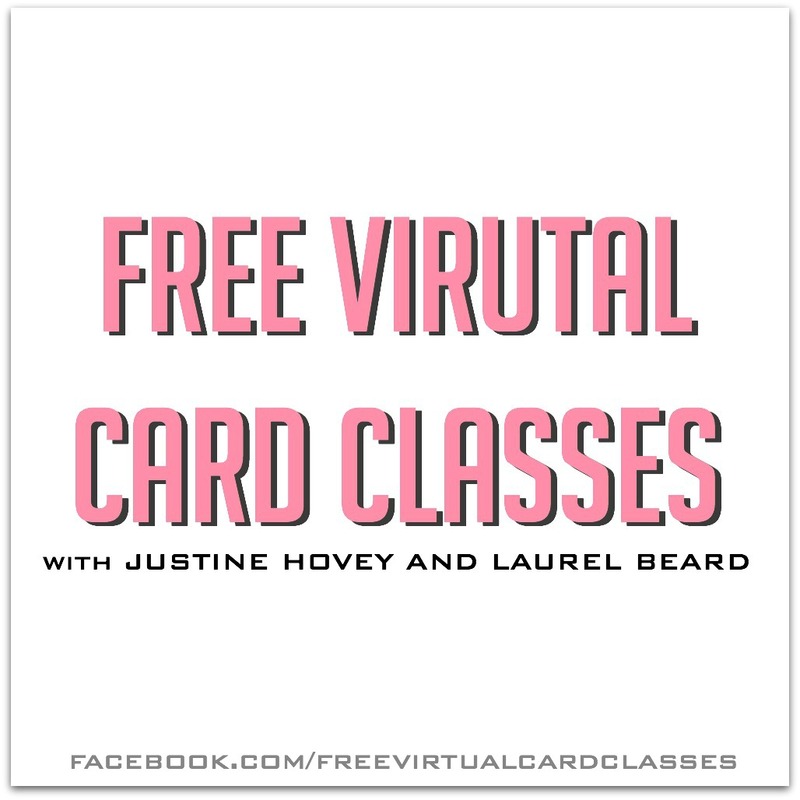 If you want to join us for our monthly live classes, be sure to like our facebook page. We went live on Thursday Night and created 4 cards together. Don't worry if you happened to miss it because you can watch the live replay on our Facebook page or the edited video below. Don't forget to head to Laurel's video too! Fun cards, Justine. My lift-ink arrived last week, and I have been playing with it this weekend. 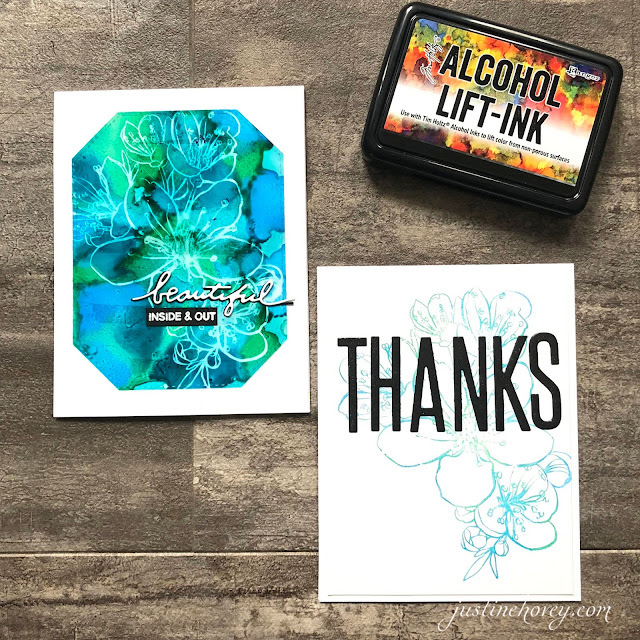 I created a few cards that I posted on my blog. I also watched the videos. 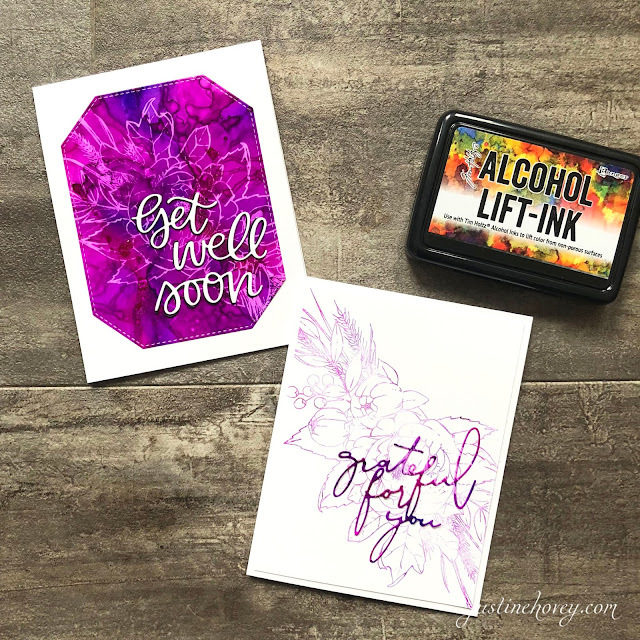 You can use Ranger Archival ink on yupo but you do need to give it a little time to dry. If you rub it before it's dry, it has a similar effect as the lift-off ink, except that it leaves a slight ghost image and you cannot transfer the lifted-off image. Also, I'm not so sure that a dirty ink pad is not a problem. I think it will interfere with the transfer of images. Even Tim cleans his stamp thoroughly before using the lift-off pad on his stamp, and he is known to never clean his stamps.